And it precedes with high-speed! The trend in the automotive industry is still to make vehicles more efficient through strict lightweight construction whenever possible. Steels, light metals and plastics continue to be the main materials in automotive engineering. For such materials, there is a great number of new compositions as well as mutual substitutions. The requirements for the fastening technology are correspondingly complex and demanding. When the new Mercedes-Benz C-Class was developed, there was a focus on weight reduction in order to reduce fuel consumption. Strict lightweight construction paired with intelligent detail solutions considerably reduced the weight. The required function-specific gravity and high-pressure die castings constitute a special challenge for joining technology. On the one hand shall components, which are often heat-treated, be joined in a low-heat process so that material characteristics are maintained. On the other hand, these components are often components with only one-sided accessibility. If possible, modern manufacturing concepts shall consist of only one production step (no pre-punching). Thus mechanical joining processes, suitable for one-sided accessibility of the joining point, are to be realised. Traditional processes are limited when it comes to one-sided accessibility. RIVTAC® high-speed joining is different, however. In this innovative mechanical joining process, a nail-like auxiliary joining part, the tack, is accelerated to high speed and driven into the not pre-punched joining parts. The ogival point of the tack displaces the material. The joint strength in the bottom joining part is achieved through a combination of force and form fit holding mechanisms. That is due to the restoring force of the displaced material on the one side. On the other side, the locally heated material flows into the shank knurls of the RIVTAC® tack. 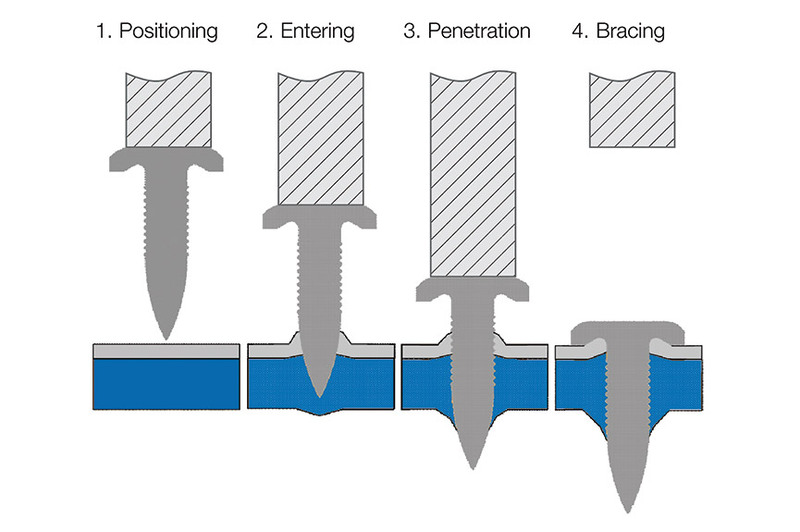 An important condition for this method is sufficient stiffness of the joining parts so that they can resist the penetration impulse of the tack without major deformation. High-strength materials and multiple-layer joints can also be joined without loss of performance – providing particularly good strength characteristics. On the rear end of the new Mercedes-Benz C-Class Saloon and the Mercedes-Benz C-Class Estate, RIVTAC® is used to join aluminium rear floor and rear frame. The RIVTAC® automation system allows fully automatic tack setting. 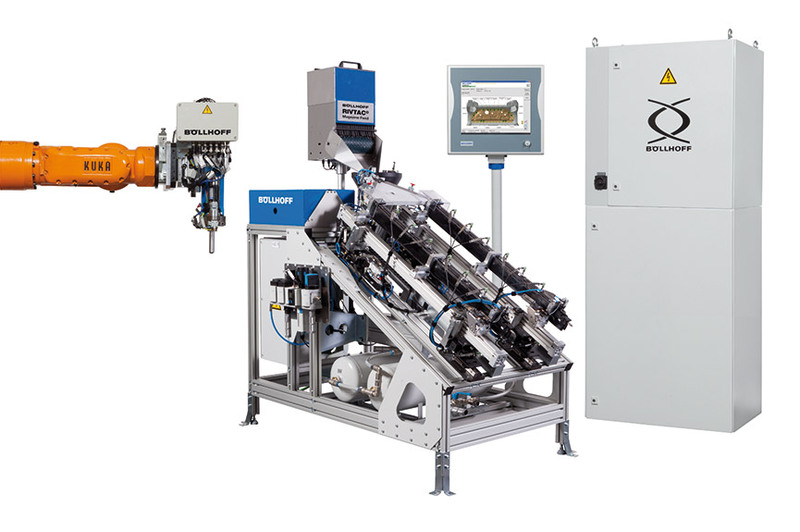 It is perfectly suitable for large-scale production and offers highest flexibility during production planning. A robot fixes the rear end in a fixture inside the manufacturing cell. The setting tool is extended by the positioning unit until there is contact with the component. Then, joining is triggered. 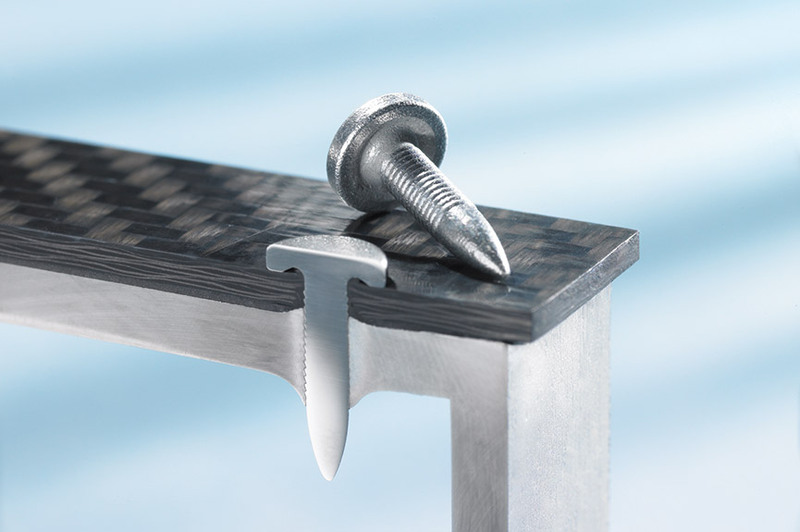 The RIVTAC® tacks are supplied from a spiral magazine – about 80 tacks per Saloon and about 60 tacks per Estate. The method can also be perfectly combined with adhesion technology. The high speed at which the tack penetrates the materials avoids that the adhesive disperses uncontrollably. The online process monitoring evaluates the joining process and visualises the data on the screen. 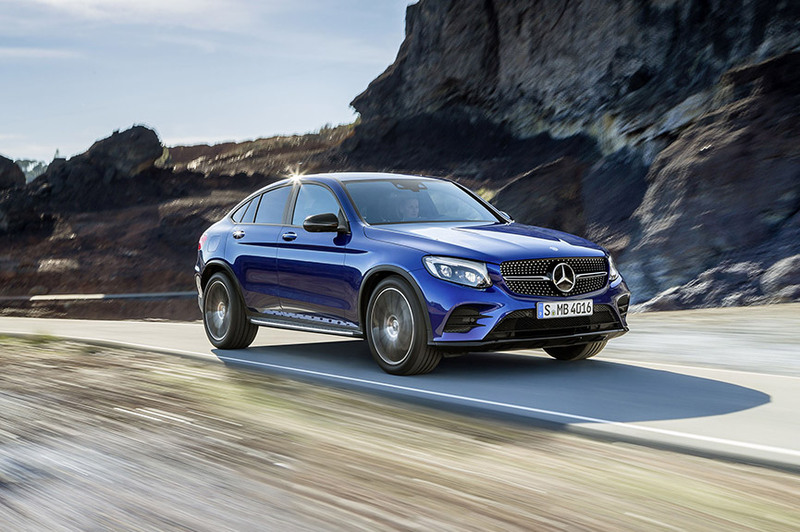 RIVTAC® is moreover used for: the new Mercedes-Benz C-Class Cabriolet, the Mercedes-Benz GLC and the Mercedes-Benz E-Class. 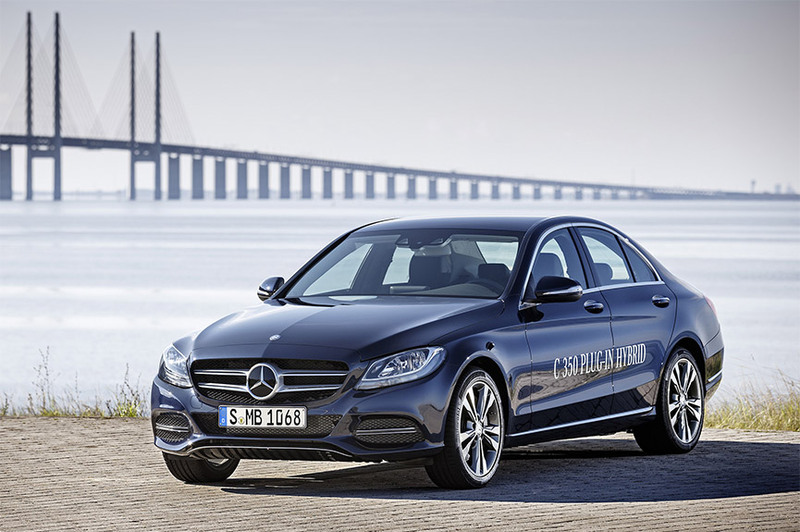 This picture from Daimler AG may be used exclusively for the Böllhoff press release. CFRP-aluminium profile with adhesive by RIVTAC® high-speed joining. If you would like to write about us, just download the press release and press photos.